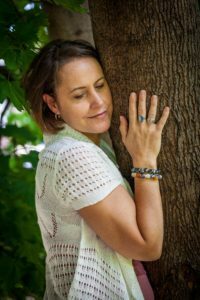 Terri Beauchamp is a certified meditation instructor with the Holistic University of Theology and a member of the International Association for Meditation Instructors. Meditation requires both concentration and relaxation. Too much concentration and you will not relax and allow the state to flow. Too much relaxation and you might fall asleep. The real purpose of meditation is to be content with one’s self. Compassion for others is a manifestation of universal loving friendliness. You cannot love others until you learn to love yourself. You cannot share good will if your main focus is yourself and your own desires or problems. You cannot have a healthy mind if you are constantly overthinking everything. You cannot connect with other entities if your mind if full of thoughts. One must be balanced to share positive energy and to connect. The benefit of personal sessions is getting the time you need to work on your personal practice vs. a classroom setting. Clients who purchase this package have found they are much more successful in their meditation practice and begin to really see the benefits. I look forward to assisting you with your practice! Do you offer meditation sessions online? Absolutely. We will be able to meditate very easily together online. There are many tools available now, for example 'Skype'. You will have a view of me so that I can show you many techniques that you will be able to practice in your own home at the same time. I will be able to monitor your meditation progress during our sessions and correct you where required to assist in your successful journey.